Other power saving devices work by making your appliances use less energy (for example allowing you to control the temperature of each room in your home automatically), or cutting off the electricity supply while not in use. You may have noticed that when you turn some appliances off at the wall, they still have a standby light on them. Some devices, such as older mobile phone chargers, still draw power when plugged in even if they are not being used to charge a device. Using an energy saving power strip that automatically shuts down the supply to the power sockets when the devices attached to the socket are not in use could save you a substantial amount of energy over the course of a year. Do remember that shutting off the electrical supply to a device while it is on standby may cause the device to lose its settings if it does not have an internal battery. Check the instruction manual for each device before using it with a “smart” power strip. It is important to note that the “energy saving” meters promoted by many companies do not actually change the amount of energy that you use. 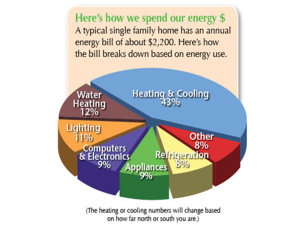 These devices can be helpful to help you understand energy usage, however. You could use one of those meters to figure out how much energy your computer uses while it is in power saving mode and make an educated decision as to whether the convenience of having the computer switched on throughout the day outweighs the energy savings of turning it off when you are not using it. In conclusion, energy saving devices do work, but you should choose the right device for each room. This article was written by Anneke, she is the specialists at Juice Electrical.